This truly magical home sits close by the water's edge just past Barna. It is presented with interior design finish, within walking distance of the sea and a host of amenities including restaurant, shop, and school. With three bedrooms, a large living room with feature stove fireplace, kitchen, bathroom and en suite, it provides all the space required but has space to rear or back to extend if desired. This home is a wonderful find according to the agent, Shelagh McGann and is under the €300,000 price point, a rare find in this area. 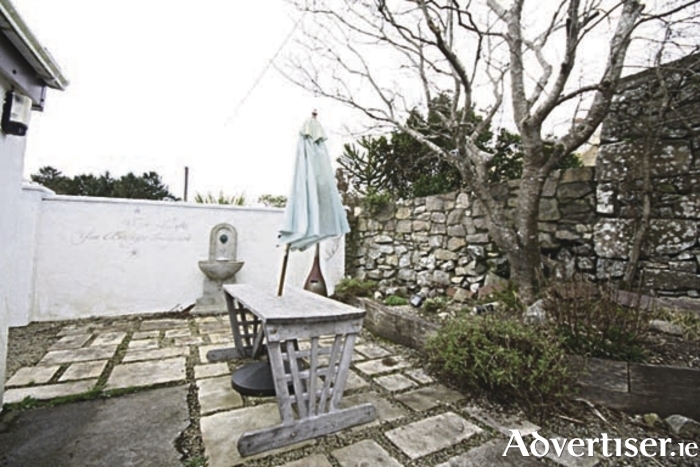 This 17th century cottage sits within metres of the frontline at Furbo village with sparkling blue views to the sea. The owner of this wonderful cottage has restored it with outstanding style, so much so it has featured on RTE’s Home of the Year and was also highlighted in 25 Beautiful Homes magazine . The cottage is a magical property; the main living/family room has its original ‘inglenook’ fireplace where a stove is now fitted, creating a sense of drama to this cosy rustic setting. It has beautiful vintage effect timber flooring, and a stunning feature vault style roof area opening to first floor and lit with a vintage chandelier. The kitchen has classic black and while chequerboard flooring — this area, while perfectly compact, is a lovely space and has views to the private garden party area. The bathroom has an impressive claw foot bath, and timber panelling here makes this room the perfect haven. At ground level there is a large double bedroom, exquisitely presented by its owner, while two further bedrooms and an en suite are situated on the first floor. The master bedroom makes an immediate impact, filled with sparkling light, and a sense of calm. There are three gardens – a large stone walled front garden, the aforementioned sunfilled rear garden, and a side garden and pebble drive parking area. Shelagh McGann said: "This seaside cottage is a magical place, there is a certain sense of the serene here and one can only fall more in love with it as time passes." The city is just seven miles away. For more information contact Keane Mahony Smith auctioneers at 091 563 744.